Would You Wish To See Jesus ? How many of you would like to see Jesus? I hope you’d like to, because the bible says, your gonna. The bible says everyone’s gonna see Him. Revelation 1, verse 7 tells us; “Behold, He is coming with the clouds, and every eye shall see Him, even those who pierced Him..” Those who pierced Him, are those who took part in Christ’s crucifixion. So then, even those who DON’T want to see Him, are gonna see Him. “Every eye shall see Him”. 1 Thessalonians 4, verse 16, tells us; “For the Lord Himself will descend from heaven with a shout! With the voice of the archangel, and with the trumpet of God! And the dead in Christ shall rise first.” We will all see the Lord in the air, but no one will see Him on the earth, because He will never set foot on the earth. Picture it; The Lord Himself, descending from heaven, coming with the clouds, and every eye will see Him. Even those who pierced Him! But we don’t rise to meet Him quite yet, because the dead in Christ rise first. And they rise up to meet the Lord in the air. And then, we who are alive at His coming, are “caught up together with them in the clouds, to meet the Lord in the air.” Not on the earth, but in the air. And if you’re “In Christ” when He comes, you’ll always be with Him, from that moment on, throughout eternity. Verse 18 says; “Therefore comfort one another with these words.” There are no words, that are any more comforting that those. To leave this earth, and this world, and to be with God forever and ever! What Will Jesus Look Like ? What’s Jesus gonna look like when He comes? Is He gonna look the same as He did when He was on earth? No, He won’t have His old physical body. He’s going to have a spiritual body. What are we gonna look like, when we’re resurrected, and when we’re given our new spiritual body? And when those who are alive, and remain till Jesus comes; What are their bodies gonna be “changed” into? We don’t know, but we DO know, that we’ll all be changed! The last verse of this chapter, verse 58, gives us more encouragement and comfort; “Therefore my brethren, be steadfast, immovable, always abounding in the work of the Lord, knowing that your labor in the Lord is not in vain.” Your labor in the Lord is NOT in vain. It will pay off, and you will receive your reward! You can count on it! Jesus guarantees us, in Revelation 22, verse 12; “Behold, I am coming quickly (or suddenly) and My reward is with Me; To render to every man, according to what he has done.” When Jesus Christ is revealed from heaven, and descends to gather the faithful, His reward will be with Him, and we will receive that reward. Your labor in the Lord is not in vain. Remember that, and let it encourage you. Personally, I can’t wait to see Jesus! How ’bout you? But it takes so long, right? Wrong! It doesn’t take long at all. When Can We See Jesus ? But I want you to know, that it DOESN’T take so long, to know the Lord, or to see the Lord. You can know Jesus, and you can see Jesus right now. You don’t have to wait until He comes back. You can see Him today, and you can see Him every day. Now, I want to be clear; No one can see Jesus physically. Even when He comes again, and when every eye sees Him, He won’t be seen physically. Jesus will only be seen spiritually! Think about it; How are those who pierced Him, 2,000 years ago, gonna see Jesus physically? They don’t have physical bodies, and physical eyes anymore. The fact is, they will see Jesus spiritually! But we can see Jesus spiritually, right now! Philip and the other disciples had seen Jesus physically, but they had also observed the Spirit of Jesus. They observed His Spirit of love, and compassion. And they saw His Spirit of humility and service. They saw His Spirit of mercy and forgiveness. And Jesus said, when you see Me, you have also seen the Father. When you observe the Spirit of Jesus, and when you come to know the Spirit of Jesus, then you’ve also seen and have come to know, the Spirit of the Father. And do you know how we can “see” the Spirit of Jesus, right now? 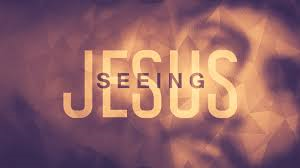 We “see” Jesus, through His words. The words that Jesus spoke, weren’t really even His own words. they were the words of God the Father. But Jesus was the manifestation, of the words of God the Father. Do you have a bible handy there? Open it up if you would, to the new testament, any page at all. Now just take a look at it. You are looking at Jesus! If you’re looking at the words of God, you’re looking at Jesus. You don’t have to wait till the judgment day, to see Jesus. He’s right here. And you surely don’t have to wait till the judgment day to know Jesus! If you wait till then, you’ve waited too long! Everything there is to know about Jesus is right here, right now. He’s “the way, and the truth and the life.” John 14:6. He’s “the light of men.” John 1, verse 4. He’s the “radiance of God’s glory, and the exact representation of His nature.” Hebrews 1, verse 3. He’s “the head over all things to the church, which is His body.” Ephesians 1:22 & 23. “He is also the head of the body, the church.” Colossians 1:18. “He is the mediator of a NEW covenant..” Hebrews 9:15. “He is the mediator of a BETTER covenant, which has been enacted on BETTER promises.” Hebrews 8, verse 6. “He is the image of the invisible God, the first-born of all creation. For by Him all things were created, in the heavens and on earth, visible and invisible, whether thrones, or dominions, or rulers, or authorities; All things have been created by Him, and for Him. And he is before all things, and in Him, all things hold together.” Colossians 1:15 thru 17. “Therefore also, God highly exalted Him, and bestowed on Him a name which is above every other name; That at the name of Jesus, every knee should bow, of those who are in heaven, and on earth, and that every tongue shall confess that Jesus Christ is Lord, to the glory of God the Father.” Philippians 2:6 thru 11. How much more do you want to know about Jesus? How about just one more thing for today; “Although he were a Son, yet He learned obedience by the things that He suffered. And having been made complete, He became the author of salvation to all those who obey Him.” Hebrews 5:8 & 9. Salvation, to all those who OBEY Him! Not salvation to all who simply throw his name around, but to all who OBEY Him. And what is there to obey? And Jesus commands baptism. “He who has believed and has been baptized, shall be saved.” Those are the words of Jesus, in Mark 16:16. “Repent, and let each one of you be baptized, by the authority of Jesus Christ, for the forgiveness of your sins..” Acts 2:38. That’s the command from God, and we must obey it, if we would be saved. If you would SEE Jesus, just look at the words of the new testament. If you would KNOW Jesus, read and learn what those words say. And if you would be SAVED by Jesus, OBEY what those words say!